You may have heard my first day of school horror story. No, not one of those nightmares from high school where you show up on the first day of school and realize you forgot to put on pants. My first day of school as a TEACHER horror story. It did not go well. Luckily, that real-life nightmare became the inspiration for my career as a teacher, which you can hear all about in episode #1 of my podcast. Going over the syllabus and reading my course expectations aloud turned out to be far less scintillating to my students than I thought it would be. Wait a minute, did I just hear you chuckle? Yes, after many years of first days I know now that my syllabi will just never light a fuse under my students, no matter how much I play around with fun fonts. So what to do on the first day of school? How to kick the year off right? Syllabi must indeed be delivered, but what else can a creative teacher do, given that students haven't read any material or prepared for the class in any way? Here are some of the best activities I've come up with over the years. I hope they work well for you too. Attendance can be a real drag. It eats up class time and it's so dull. That's why I flipped it to become a getting to know you activity. Every day for the first week and sporadically after that, I use attendance to ask a getting-to-know-you question. Instead of responding "here" when I call a student's name. He or she will answer my question, which is always short. For example, I might say "When I call your name, tell me what country you'd like to fly to today if you could." If a student takes too long we just skip past them. By the end of attendance we've all learned a bit about each other and had WAY more fun than hearing the word "here" over and over. 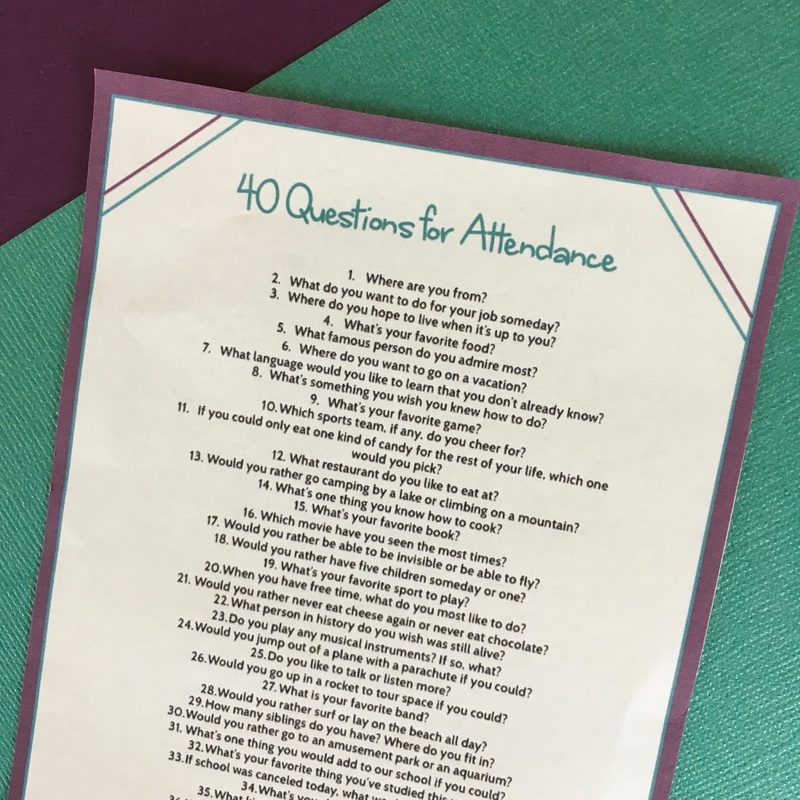 For a free printable poster of questions you can hang by your desk to use all year, just click here. You'll join more than eight thousand other teachers who have already downloaded it. I bet you've given some thought to the layout of your classroom. Maybe you've got a writing contest bulletin board, a collection of maker materials, a costume corner, an outside reading library, a makeup material binder, a set of art supplies, an inbox for homework, etc. 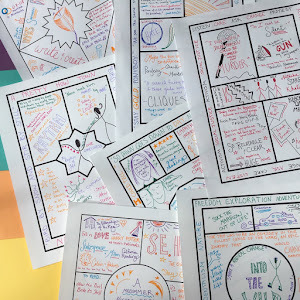 Instead of wandering the room and showing each of these to your students, create a scavenger hunt handout and let them race in partners to find everything themselves. Prizes wouldn't hurt anything. Your fabulous resources and organization will be a lot more memorable this way. "Go to this side of the room if you prefer studying English and history, this side if you prefer math and science." "Go to this side if you are an only child, this side if you have siblings." "Go toward this corner if you prefer to read fantasy for fun, this corner for mystery, this corner for love stories, this corner for nonfiction." As your students traipse around the room, ask follow up questions. For example, you could ask who thinks they have the most siblings and get a few numbers, or call on several students to share their favorite book within the genre they have chosen. I've put together my own questions for this fun first day activity along with a bonus follow-up activity for you over on TPT for just $1. It has definitely been my most popular product this month. 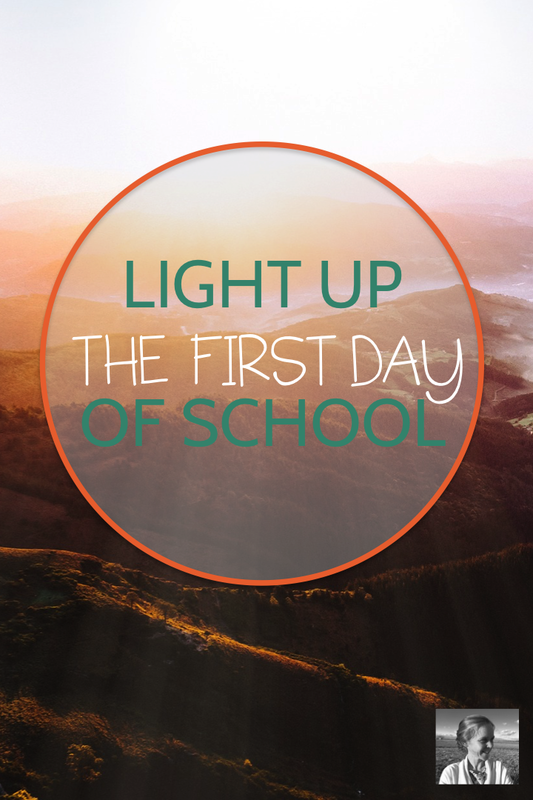 If prepping for the first day is stressing you out, you might want to check it out here. I learned this first-day strategy at Phillips Exeter academy when I attended their Summer Humanities Institute. It's an amazing activity for teaching students the value of diverse voices in building a classroom community. 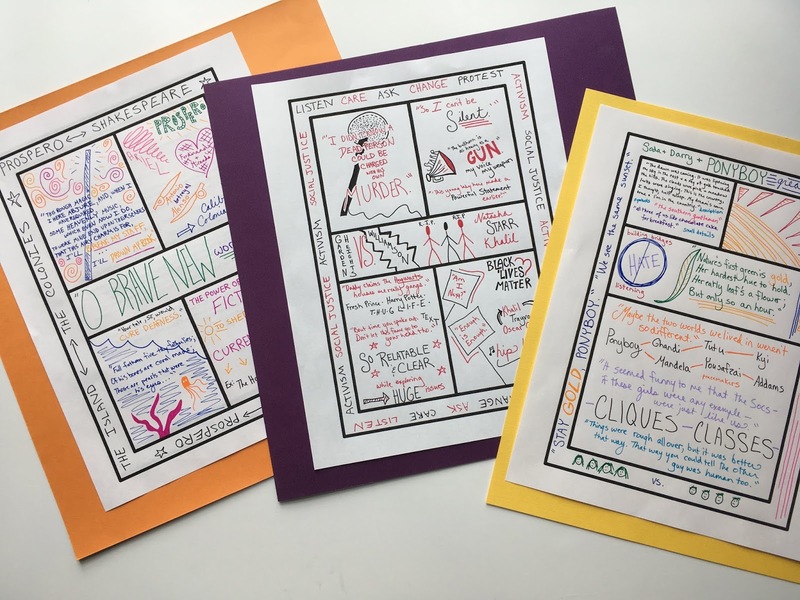 If you plan to push students to value their own and each others' viewpoints as much as your own throughout the year, this is really great way to introduce this idea. Start with a beanbag (a ball will cause you no end of trouble!). Tell your students you are going to start a story, then throw the beanbag to someone else, who will continue the story, and on and on. Let them know that the second-to-last person will bring the story to a close, and the very last person will need to retell the whole story, but everyone can help. Ask students to be respectful as they choose the content of their section of the story if you think this reminder is necessary in your school. The story will be amazing. It will feature twists and turns you never expected when you started it. The last person will be stressed out at first, but quickly reassured by the help that comes from every direction in remembering all the small details. After you finish, ask your students why they think you did this. Help them to realize how rich and amazing the story they created together was, and how much it helped the last person that they all worked together on the retelling. Let them know that you could never have created such an amazing story alone. Focus on what this means for group discussions, group work, workshop, partner collaboration, etc. Students don't automatically realize the value of collaboration and discussion, and I find it really helps to start the year off by talking about it front and center. Yes, you need to pass out your syllabus, course expectations, academic honesty policy, etc. Whatever you use to guide your course, the first day is a logical time to pass it out. What you DO NOT need to do (a mistake I still regret from that arduous first first day) is to read the entire thing out loud. Put your students in partners and let them go through your papers and pick what they think are the three most important things. Have them create a mural across one chalkboard or whiteboard with what they would say really matters about your course. Or have everyone choose just one vital point and then call on partners randomly to share what seems most important to them. Let them teach it back to you - you set a tone for active learning right away, and perhaps even more importantly for you, you avoid that terrible, awful experience I call "the glaze," in which your students simply stop seeing and hearing you. 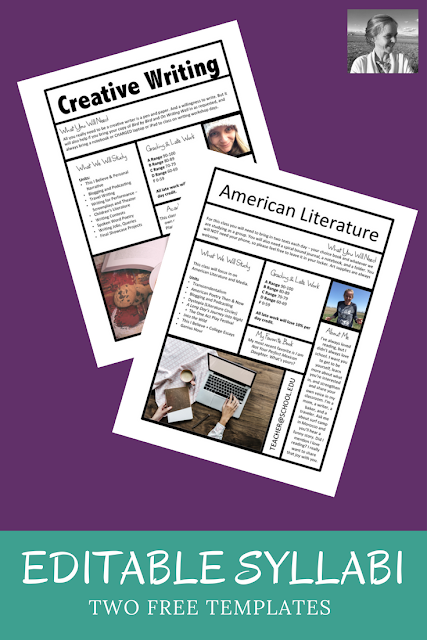 By the way, if you'd like a little help with your syllabus creation, I've made two fun customizable syllabi you can use! Just sign up for the free download and you can plug in your own info for a quick and easy, attractively designed syllabus. I LOVE this first day activity. Ever since I invented it, I have never failed to do it. I print the name of each student in a large font size on the bottom half of a piece of card stock. Each section gets its own color (first period - blue, etc.). I pass these out and have everyone fold them into table tent name cards to sit on their desks. Then we take ten minutes to decorate them. I ask every student to make a few drawings or add a few words and quotes to represent themselves. Finally, I take a photo of each student holding up his or her name card. I study these photos and I can always get my students' names down within forty-eight hours (I used to struggle for weeks!). As a bonus, I keep the table tents and use them to randomize seating every once in a while throughout the year if I feel like we are in a rut. I simply lay out the cards wherever I want them before students come in, and they sit where they find their name cards. I hope these activities help you get your year off to a GREAT start. AND I hope you decide to share your results, inspiration, and struggles with our growing community over in Creative High School English on Facebook. We'd love to learn from you and share with you. Once you click to join you can always post your questions and share your favorite resources with this awesome collaborative group.